Lifting that heavy carpet cleaning machine you rent to clean your carpet can be a very difficult task. In such cases, the best solution is to hire the services of professionals in this field. 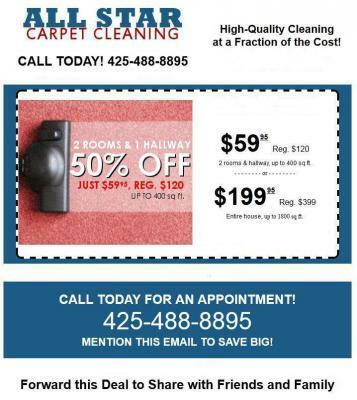 While renting a carpet cleaner may seem cheaper than hiring professional carpet cleaning in Edmonds, WA. There are benefits of calling in the experts that would make the extra cost worthwhile. Not only do professional carpet cleaning services save you time, they also ensure that your carpet is cleaned effectively. But to get the most out of these services, ensure you hire a company with a truck mounted steam cleaning machine. Here are the major benefits of seeking the services of a company that uses a truck mounted steam cleaner. Truck mounted steam cleaners can be operated at higher temperatures and pressures than portable cleaning systems. With a pressure of about 400 to 500 psi, these machines can work wonders when it comes to dirt removal from the carpet. They can also provide steam with a temperature of up to 220, allowing for more effective use of the cleaning agents. Consequently, you will have a carpet that is much cleaner and does not have residue. In addition to higher temperature and pressure, truck mounted steam cleaners also offer higher suction levels finally, since truck mounted cleaners are easier to assemble and have less downtime during the job, your professional carpet cleaning in Edmonds, WA. will be able to complete the task much quicker. Moreover, the use of truck mounted machine makes the process less messy because the cleaning professional only has to bring hoses into your house.